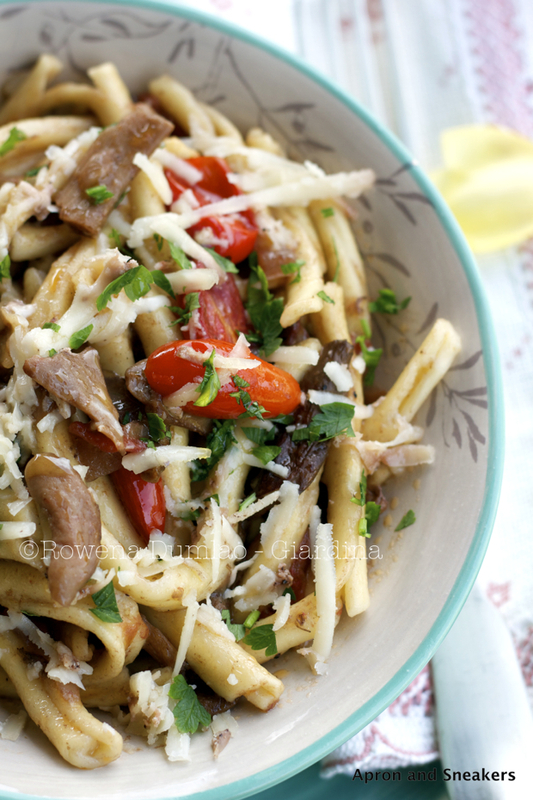 These past days had me thinking of a good plate of pasta with funghi porcini (porcini mushrooms). This craving came at such a perfect time because I had been deliberating on what recipe to concoct for Suzanne's blog, You Made That? after she invited me to guest post in her wonderful food blog. It is my very first time to guest post and I found myself in the dark about how to go about it. After a bit of reading here and there, I finally got the grasp of how it works. Give me a pat on the back if you think that I am going the right track. Thanks! Suzanne and I met virtually through other food blogger friends not long ago and I was glad for that because I found a nice and talented person behind the blog You Made That? In fact, as soon as I scanned her recipes, I tried her Honey Lime Ginger Chicken Thighs that instantly became a hit with my kids. If you check out her blog, finding recipes to try will be baffling task because there are too many good ones compiled in one place. Don't say that I didn't warn you! 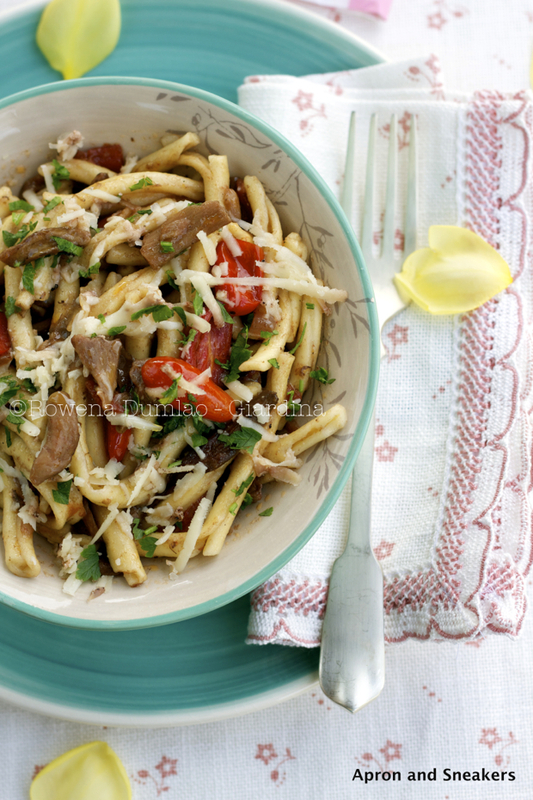 Here is a simple and quick (you will just have to soak the mushrooms overnight if you are using dried ones) weeknight pasta recipe. It tastes great, it's simple to compose and fast to cook. I hope you enjoy this one like we do! Buon appetito! Scroll down for the recipe or click on this link to take you to You Made That? where you can also get the recipe. Thanks! If using dried porcini, soak them in a container with water overnight. Drain the mushrooms and squeeze out the excess liquid. Save the water where they were soaked. If using fresh porcini, take away the dirt with a brush, with a damp cloth or under the tap quickly. Fill up a saucepan with water then add the porcini. Bring to a boil then transfer the porcini in a bowl. save the water where they were boiled. In another saucepan, boil some water to cook the pasta. While waiting for the water to boil, prepare the sauce. Over medium heat, in a big saucepan with extra virgin olive oil, sautè the garlic and onions until golden then discard the garlic. Add the tomatoes then cook for about 5 minutes. Pour the wine then put up the heat to high. Cook for another 5 minutes then lower the heat to medium. Add some of the water where you soaked or boiled the porcini. Turn off the fire when the sauce has thickened up a bit. Cover. When the water for cooking the pasta has boiled, add some salt then add the pasta. Cook following the number of minutes indicated in the package. 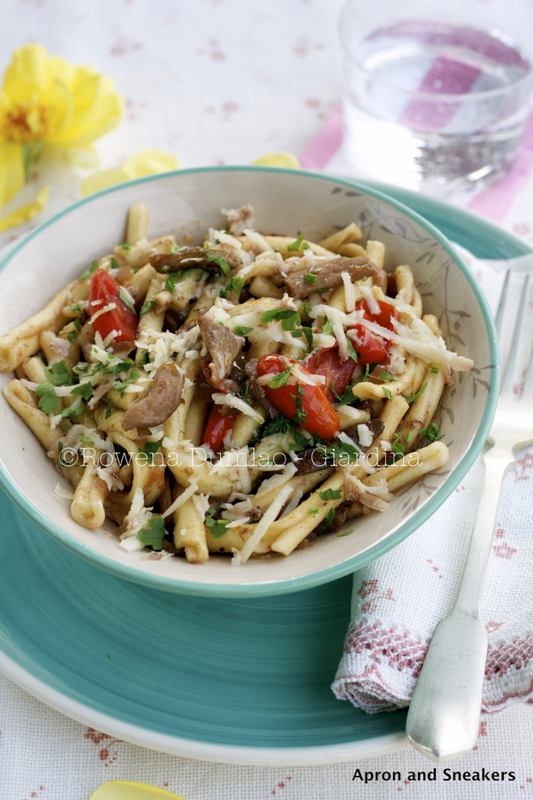 Turn on the heat again where you are cooking the sauce then transfer the pasta to the saucepan of the sauce. Mix well then sprinkle with the parsley and Parmesan. Drizzle with the truffle oil.